Start you day with an appetizing breakfast in the hotel. Post meal get ready for another beautiful day of the tour. Check out from the hotel. 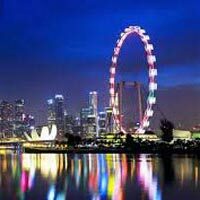 Our tour representative will get you transferred to your pre-booked hotel at Sentosa Island. Sentosa Island is brimming with millions of entertainment options. Not only kids but families enjoy a day of ultimate fun. 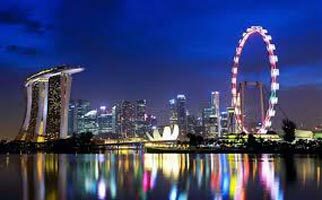 Today's Twilight Tour of Sentosa Island includes one-way cable car ride, Underwater World (Amazing oceanarium that flaunts the marine life at its best), Merlion Tower (The biggest Merlion you can find in Singapore), Wings of Time (Mesmerizing light show) and Dolphin Lagoon. Then, head to A Slice of Paradise; a themed island, heritage center and nature park offering breathtaking view and myriad of activity including Sky Ride, Luge Ride, Insect Kingdom & Butterfly Park. Get mesmerized by the profusion of delights. Overnight stay in Sentosa Island.